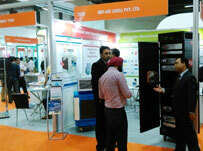 Bry-Air participated in the 12th edition of Paperex – Paperex 2015, held on Nov 1-4, 2015 in New Delhi, India. Paperex is the largest Exhibition and Conference in Asia for pulp and paper technology. 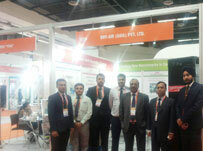 Bry-Air displayed Datacentre Air Purifier(DAP) unit in the exhibition which helps in removing hazardous gases from the control room. Visitors got an opportunity to interact with our Airgineers and understand the importance and benefits of our product in the industry.